NOWSPAR Director Matilda Mwaba and General Secretary Lombe Mwambwa participated in training on social accountability held in February and April by the Public Service Accountability Monitor at Rhodes University in South Africa. The key elements of the training included theoretical and practical elements of the principles and systems of social accountability. The aim was to equip civil society working on policy engagement to advocate for citizens rights to receive the best quality services from the state according to the resources available. The course also aims to strengthen organisation capacity to mobilise citizens to appreciate and act on their right to participate in social accountability. 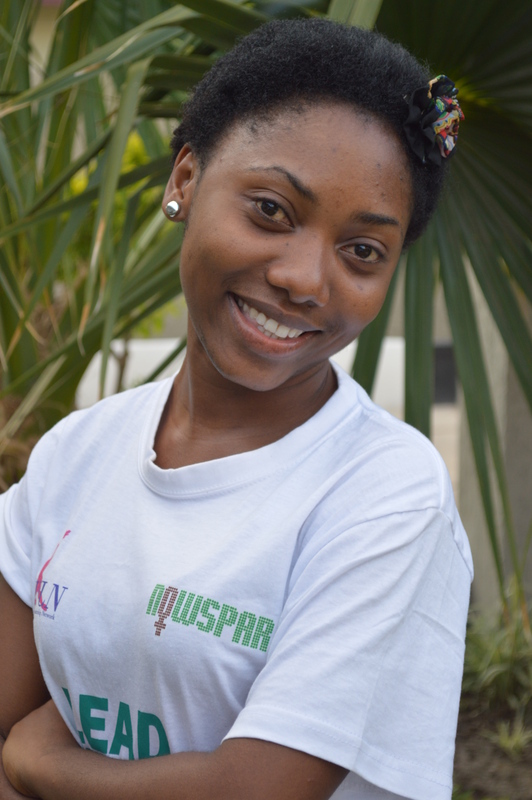 Within the area of sport, NOWSPAR engages with accountability processes related to planning, resource allocation and expenditure of resources. Our concern is how national resources in general benefit the sport community and in particular how resources allocated to sport benefit girls and women in the context of gender inequality. Our engagement with the sport community, we are propagating the principles of duty bearers providing information on their responsibilities and actions. We facilitate platforms for dialogue with stakeholders such as sport associations and government. We provide information and opinion on issues that we suggest should be addressed by the various actors in sport. In May this year, we will be hosting the 2nd Integrity of Sport Conference in line with this. Through the media, we continual to communicate to the public and the sport community about the role we have collectively to participate in accountability at various levels of service delivery and resource management as relates to sport. We regularly participate in TV and radio interviews and discussions to share this information. We are networking and interacting with other organisations around Social Accountability to develop our own capacity as well as to contribute to national action around issues affecting children and, women on themes including protection and resource allocation. 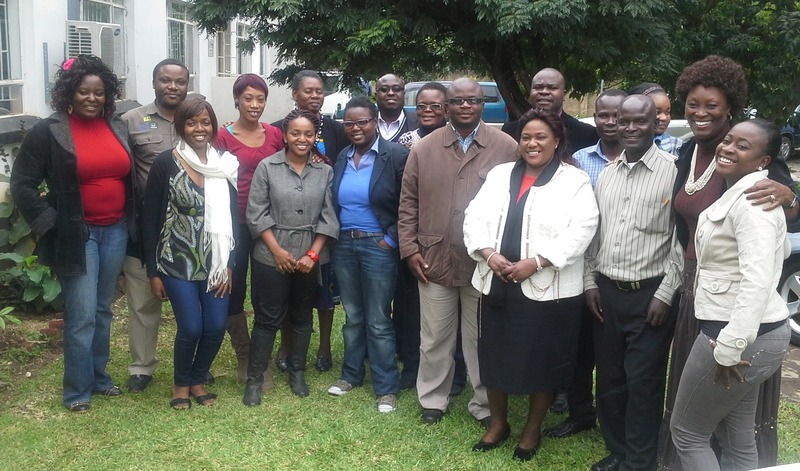 The training was provided by the Zambian Governance Foundation as part of its capacity support to its partners. As a step forward, the CSO participants also have an opportunity to develop joint advocacy projects within the framework of social accountability towards policy change. Sunday 6th April 2014 marked the commemoration of the first ever International Day of Sport for Development and Peace declared by the United Nations in August 2013. The Olympic Youth Development Centre (OYDC) with partner organizations, EduSport, Sport in Action, Paralympic committee and NOWSPAR, commemorated the day through an exhibition and presentations by the organizations represented on how they work and which development aims they contribute to. Each organization gave its interpretation of the importance of sport in development and peace. NOWSPAR representative, Mofu Kandondo, shared NOWSPAR’s work to mobilise the stakeholders to address gender inequality in and through sport. She stressed the importance of building leadership in girls and young women as they are as capable as men in contributing to development but have historically been limited by cultural and social challenges. She cited programs the organization is running to this end such as ‘Building Young Women’s Leadership through Sport’ and ‘Girl Power Through Sport’ which equip girls to be leaders and to influence their communities. NOWSPAR information stand provided information about the role of sport in girls’ empowerment and the challenges that sport is used to address such as protection from violence, limited access to reproductive health information and access to physical activity and play for girls. The young people at the commemoration also took part in a quiz on sport for development conducted by NOWSPAR staff and volunteers. During his speech, Mr. Chileshe, the Director of OYDC, emphasized the importance of recognizing the many efforts and achievements of sport in its entirety to humanity and its power to bring development and peace. “Zambia has been recognized by the United nations as one of the leading countries using sport for social change through economic empowerment, interaction, attainment of self actualization, improved handling of success and failure and most importantly respect for self, others, rules of society and human rights,” he stated. This contributes to a peaceful society. Sport therefore transcends fun and games; it is a tool for development. Keeping with the theme ‘Changing life through sports’ three athletes from OYDC gave testimonies of the positive impact that participating in sport had had on their lives. David, a judoka doing his tenth grade, told of how he had little support for his education and general upkeep until he joined OYDC. Aside from becoming a skilled judoka and travelling to different countries, he has received support for his education. “Guys, listen to your coach and you will go far” he advised fellow youth in sport. “I used to spend my days fighting with other children, but now I have learnt new skills that have made me more productive.” Sikazwe, another athlete, was grateful for the life skills training he had received which he felt had helped him become more responsible and independent. Zambian Olympic Games Ambassador for Youths, Samantha Miyanda, urged her peers to uphold the Olympic values of excellence, friendship and respect and to also have fun. Sport in Zambia has been crucial in including and recognizing the capabilities of often marginalized groups such as women and the disabled. Mr. Gondwe, Paralympic National coach expressed that the disabled used to be seen as fragile and dependent but could now exercise a degree of autonomy and interaction through playing sports such as wheelchair basketball, sitting volleyball and athletics among others. 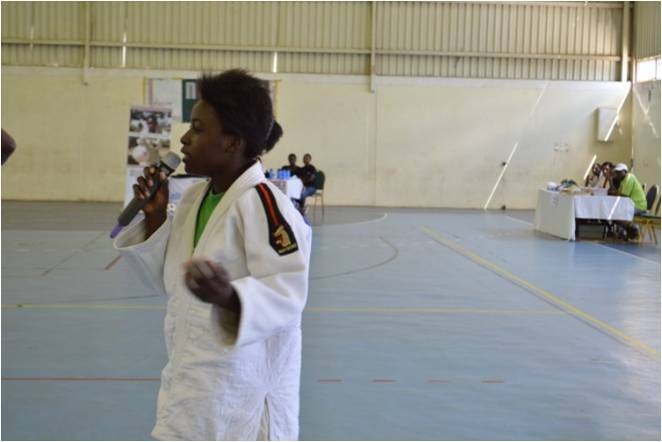 Margaret a Judoka, emphasized the role sport had played in helping her become a more disciplined and focused person. The Judo Association is one of NOWSPAR’s partners and are working together on making Judo more open to girls and women. Other activities of the day included entertainment by the OYDC dance troupe, tree planting, movement and fun games and free health checks for all in attendance. Individuals from the various organizations toured one another’s stands, interacting and exchanging experiences and information. A well rounded day it was, aptly representing the positive impact of sport.